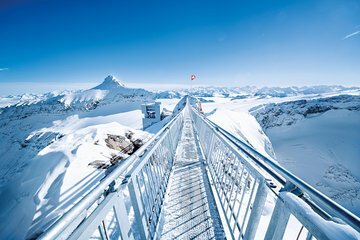 Hit the Swiss mountain peaks with a ticket to Glacier 3000 from Les Diablerets, and ride to an altitude of 9,842 feet (3,000 meters) by cable car. Once at the top of Scex Rouge, you’ll be greeted with dramatic alpine views that stretch to Jungfrau, the Matterhorn, and even Mont Blanc. Your ticket also includes entrance to the Peak Walk by Tissot, the famous peak-to-peak suspension bridge; the Quille du Diable Glacier Walk; Ice Express chairlift; and the snow park.